Letting to students can be an excellent option for landlords. You can be sure of high demand and longer rental periods, resulting in high yields. However, when you rent to students, there are some specific considerations to be taken into account. Let Your Move help you understand the ins and outs of the student lettings market so you come top of the class. Why should I let to students? Are there any draw backs? Properties tend to suffer more wear and tear when let to students, and as a result you are likely to spend more on maintenance at the end of a tenancy than you would with a traditional let. In addition, most students will expect properties to be fully furnished. When is the best time to market my property to students? Each area will be different, but in general students will start looking any time from January for lets starting in the next academic year (August/September). Which properties are suitable for students? A property with a minimum of 3 bedrooms and large communal spaces (lounge and kitchen) will appeal particularly to students. More than one toilet or bathroom will be a great additional selling point, as will a garden. And obviously, choose a location within 30 minutes walking distance from the university campus. How do I market my property to students? Student lets should be marketed in the same ways as traditional lets. You should expect your agent to list the property online on the likes of Rightmove and Zoopla, and also be proactively contacting local tenants. In addition, universities will release lists of approved rentals, and you should ensure your property is on that list. A good local letting agent like Your Move will have a relationship with universities. *Subject to eligibility. Terms and conditions apply. This information is a summary only. You will receive a full policy document upon application. This policy will set out the terms, conditions and limitations of this product. To help ensure that your rental income is protected, you should consider insuring against non payment. 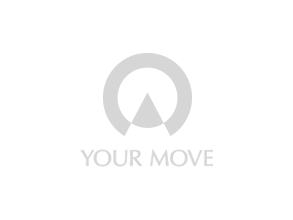 The Your Move Rent Protection and Legal Costs Insurance Scheme pays 100% of your rent for up to 6 months of your tenant’s contract or until we obtain possession of your property. What furnishing should I provide? Is there any special legislation to consider? You are likely to be letting to sharing occupants (ie. not a family group) so you will need to comply with rules around Houses in Multiple Occupations (HMOs). Read more about HMO rules. Whether you just want us to help you find the student tenants, or you’d like us to manage the whole let, we’re ready to help you. Because we have expertise in both residential sales and lettings, we can even advise you on the best properties to purchase if you’re taking the first steps into student lets.